Welcome to ViolinPractice.com. 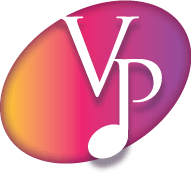 A subscription membership in VP allows you to access all the videos and print content for the ViolinPractice Method and ViolinPractice Pedagogy. New content is constantly being added! For more details and video examples for the ViolinPractice Method, click here. For more details and video examples for ViolinPractice Pedagogy, click here. Membership payments are processed via PayPal. Subscription will auto-renew.